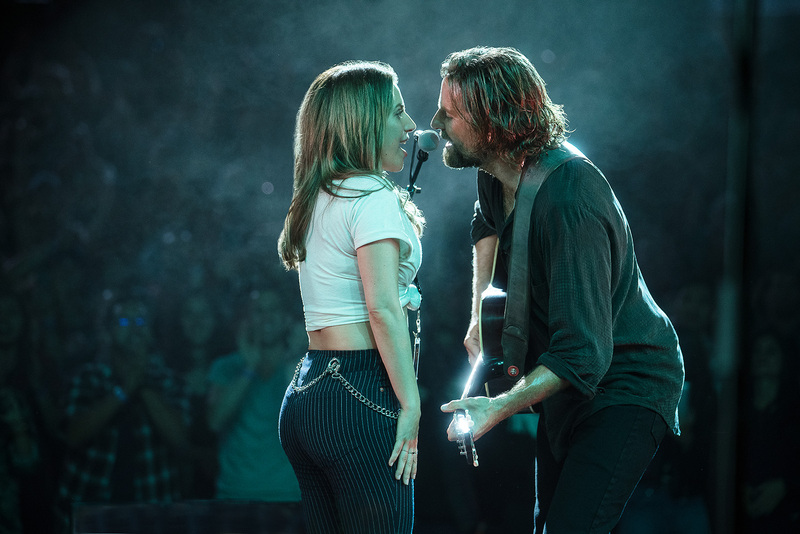 Considering that this story has been done three times before, that Cooper has never directed before, and that Gaga has only ever done cameos, it's one hell of a shocker that A Star Is Born is both the front runner for Best Picture this year and just might deserve it. Something magical must have been sprinkled on this picture, because on paper it really shouldn't work this time around, and even the trailer was a bit of a red flag, with Brad directing himself, Lady trying to act, and everyone trying to top Judy Garland and Barbra Streisand, which is not advisable. But while the 1937 original was nominated for eight Oscars, the 1954 for six, and the 1976 for four, I wouldn't bet on the downward trend continuing; the 2018 version might be the best yet and might take home the most hardware in a few months at the Academy Awards. Jackson Maine is a singer from Arizona whose best days are behind him and whose future is invisible behind a fog of alcohol and a cloud of smoke. His hearing is going, his drug use is a problem, he drinks until he falls asleep, but Jack doesn't think he's in trouble since he can still rock the electric guitar, can still stand up before a sold out crowd and tell his story through music. But the crowds are starting to thin as the years roll on, and this one-time superstar is losing the glow of the spotlight. One night, at a random bar in just another city on the tour, Jack sees Ally perform, and he knows that he's found something special. Not just a musician who can become something great, she's the woman who he's been looking for, that missing piece that's been hiding all this time. Her arrow is pointing straight up, sky high, and the pair begin that journey together, but his road will ultimately and inevitably turn the other direction, and if Ally isn't careful she'll crash before she's even started to fly. With films such as this one, those that make the boldest statements, it seems that two camps immediately form; greatest movie ever or complete trash. Those who loved it have chosen their hill to die on, those who didn't hunt for every flaw, and meanwhile the essence of the story is lost somewhere in between. 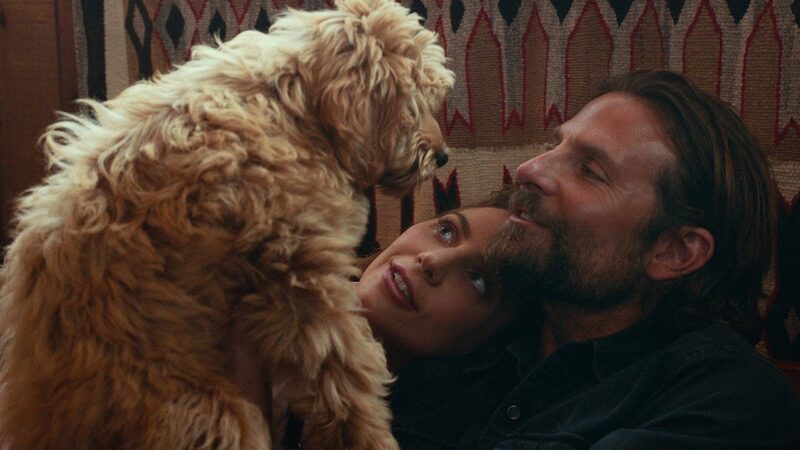 I've always prided myself on being half critic, half audience member, someone who can pick apart and enjoy at the same time, and that's exactly how I viewed A Star Is Born. It's a daring adventure, taking on this story with this director and this leading lady, no one can say that anyone played it safe, and that alone is worth something, that risks were taken without fear by artists who have a lot to lose. Cooper's directorial debut could have flopped, Gaga's first starring role could have been her last, the entire project could have been a complete failure. And yet they tried, they mostly succeeded, they imperfectly won, and I was sitting there for it all, for which I consider myself lucky. But I did say that I was watching while wearing two hats, so let's get in to the good and the bad. For the bad news first, Gaga is no thespian. Perhaps she was better than I had imagined she would be, but there were definitely moments when her inexperience shone through, and while she made the entire film seem organic simply by being herself, there were moments when she was called on to be someone else, to trick us into believing that she was someone else, and she really couldn't do it. Also, Cooper was a bit heavy handed, Elliott was unnecessary, and not every plot choice was one I agreed with, so I can't call this movie a masterpiece. What I can call it is a success, because it worked more completely than I thought that it could, and it sucked me into a story that I ended up adoring. Ally's family was great, we got a glimpse of a complicated lifestyle that we simply glamorize and forget, and there's a message in the ending that shouldn't be ignored. Above all, the music will be something that stays with us, and was hands down the best part of the film. Copper and Gaga did much of the music themselves, writing, performing, everything, and what they were able to accomplish is beyond impressive. I wanted to stand up and applaud many times, like I was at their concert, and that's pretty cool, that's not an every-time-you-go-to-the-movies thing. 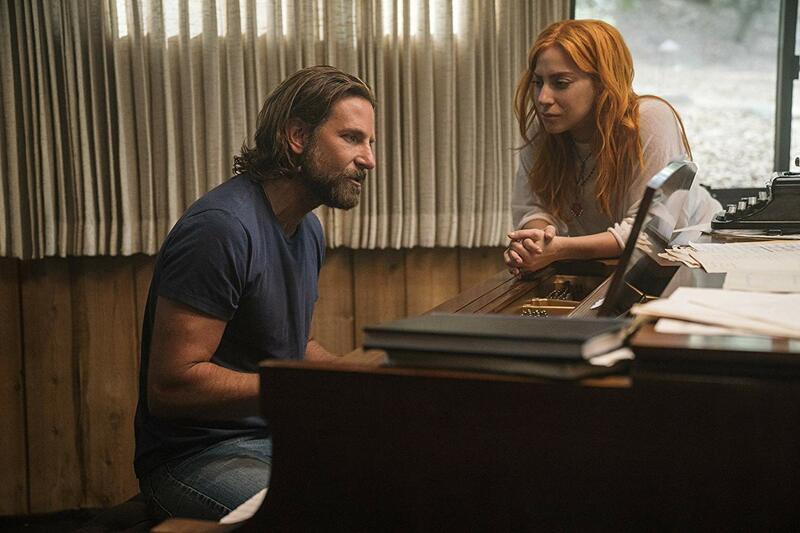 That's why I think A Star Is Born has Oscar potential; not because it's a work of art but because it lures audiences in with music, kicks us in the shins with emotion, and then shows us what's written in the dirt while we're doubled over. It has power, inarguable power, and maybe a touch of magic, which combine to overcome its imperfections in a way that deserves our attention.